The Silencer : Declassified- BLOOD FOR THE BARON!!! The man now known as The Silencer received his intitial training in the US Special forces where he excelled as a Sharpshooter. In his time with the U.S. Special Forces, he was involved in several high level operations in South America. Regarded as one of the best Sharpshooters/Snipers the Special Forces ever had, he was always at the top of the list when operations required his skills. Extremely Competive and doesnt like to loose. This character flaw is what would bring this man to be one of the top wanted men by the US Special forces for acts of treason to America. 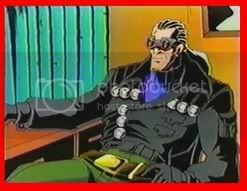 In the early years of The Silencers service to the US Military he met a man who went by the name of Ballistic, who is currently now known as Eagle-Eye. 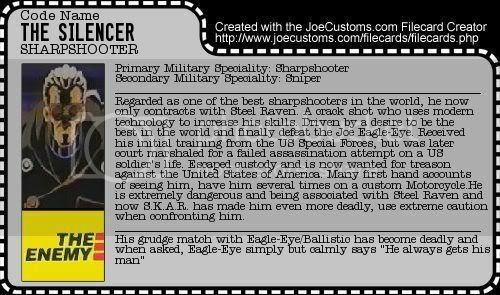 Eagle-Eye, another Sharpshooter/Sniper with skills that match The Silencers own, developed a rivarly with him, one that caused both to increase thier skills. 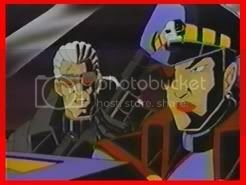 While thier commandering officers at the time, noted that the rivarly could become a bitter one, they encouraged it because, it helped them increase both of thier skills. They held several sharpshooting contest to see who was the best, but both would win a equal amount of competitions. If The Silencer won a competition, Ballistic/Eagle-Eye would certainly win the next one. This stalemate only served to anger the Silencer more as thier was not clear " best" between the two. Also while Ballistic/Eagle-Eye believed the rivarly was friendly to the Silencer it was most certainly not. At this time Ballistic/Eagle-Eye was somewhat involved with Julia Rossi, a young Ballistics expert. She became fascinated with both Eagle-Eye and The Silencer and she studied their every move. Whenever they were shooting something she was most certainly there, watching and taking notes. She quickly noted that while Eagle-Eye relied more on himself and not modern technology even sometimes shunning new devices, The Silencer gladly tried to use them. This eventually caused a split with Ballistic/Eagle-Eye and her, over an argument on this matter. 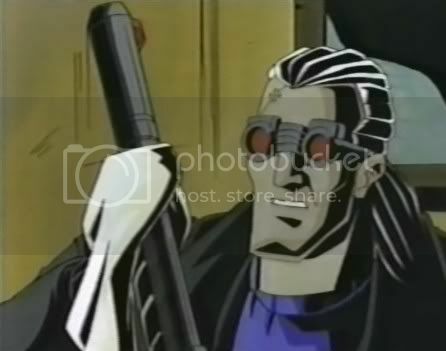 The Silencer who was angry with Ballistic/Eagle-Eye because of his matched skill, spent as much time with Julia Rossi in developing new technology so he could prove he was better, and as a result they became romantically involved. However as time progressed he became so obsessed with developing new technology and his desire to beat Ballistic/Eagle-Eye with that technology, he drove Julia away. At first she tried to help him overcome this but as time went by it only got worst and she finally told him no more weapons and no more to their relationship. Her comment that Eagle-Eye/Ballistic was a good man only enraged The Silencer more. For a short time he was able to force her to make more weapons for him, but only for a short time. She finally was able to resist, but when she did, The Silencer took her latest weapon prototype that was still un-tested. With this untested prototype he set out to assassinate Eagle-Eye/Ballistic the night before their next competition. In the rain he took aim at Eagle-Eye/Ballistic who was cleaning his weapon in his bunker, but as he pulled the trigger the weapon malfunctioned and blew up in his face, causing great injury to his shooting hand and leaving a scar on his face above his eye. It is rumored that his hand still shakes sometimes and hasnâ€™t quite healed. Till this day, he Blames Eagle-Eye/Ballistic and Julia Rossi for his injuries and his fate. Military officials would later court martial him and sentence him to prison for 20 years. However he managed to escape during his transfer to the prison and remains at large. It is know that for a couple of years after his escape he was a mercenary for hire that quickly made a name for himself across the world, especially in South America, and in particular, El Salvador where he met but never worked with Sawsad, Bandito, and Nelson Oselo. His services were on the open market for sometime but as of a couple of years ago his services are no loner available to all. He now only works for Steel Raven and no one else. His grudge match with Eagle-Eye/Ballistic has become deadly and when asked, Eagle-Eye simply but calmly says â€œHe always gets his man"
He wants revenge on Eagle-Eye with extreme prejudice and hates being not the definite best but he hates it even more when people hint that he is second best. He wears two very interesting pieces of equipment , one a glove that has two functions one that steadies his sometimes shaky hand ( from the failed assignation attempt on Eagle-Eye) and acts much like a high powered taser. When it is on and he touches someone they are shocked into unconsciousness. The second piece of equipment is a jacket that acts like a sounds suppressor. It somehow silencers all noise around him making it easier for him to sneak up on you. Where he got these pieces of equipment is of extreme interest to US Intelligence. He is known to be a Bike lover and many first hand accounts of seeing him, have him several times on a custom Motorcycle. 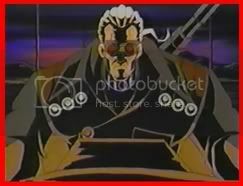 He is extremely dangerous and being associated with Steel Raven and now S.K.A.R. has made him even more deadly, use extreme caution when confronting him. Cool, these filecards are wicked. You're doing some great work on these filecards.